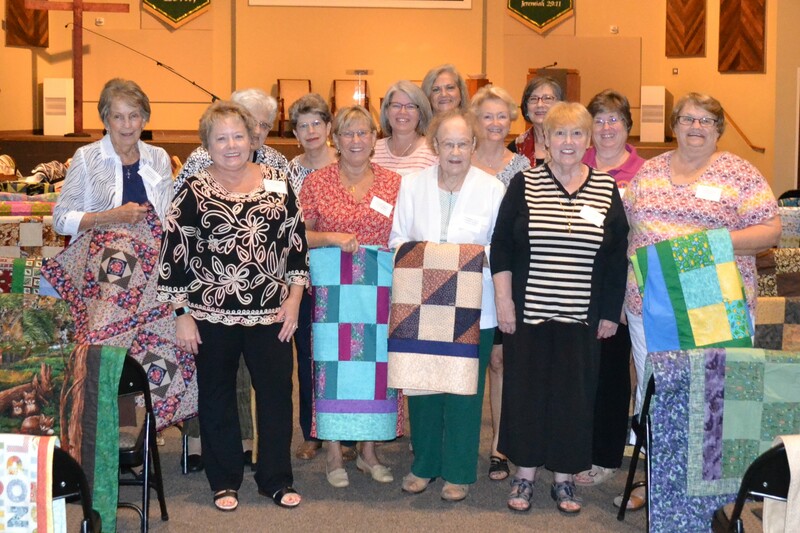 Evergreen Church in Peachtree City recently celebrated Blessing of the Quilts. Evergreen’s Ministry Partner Comfort Quilters creates quilts and pillowcases for those who are ill or grieving, foster children, or others in need. Also, A Stitch in Time large quilt show will be at Evergreen on Friday, Oct. 12 from 10 am – 6 pm and Saturday, Oct. 13 from 10 am – 5 pm. The free event, hosted by Comfort Quilters, Quilters Guild of the Southern Crescent, and Common Threads Quilt Guild, features more than 100 antique to modern quilts, boutique tables, crafts, and children’s activities. Evergreen Church is located on South Peachtree Parkway at the corner of Windgate Road in Peachtree City.